As a teacher of over 100 students, it can be difficult to provide the individualized attention that each student deserves within fifty-minute periods. This can be even more problematic in larger class sizes of 20-30 students. In a large class, a majority of my energy is spent with two categories of students: the ones that behaviorally demand my attention and the ones that I can always rely on to independently and enthusiastically participate in class. Active class discussions are essential to the learning process in a middle school classroom, regardless of the subject matter. Class discussions, even short ones, should be happening on a daily basis so that students can learn how to form opinions and claims with evidence, listen openly to others’ opinions, and respond accordingly with counterarguments. 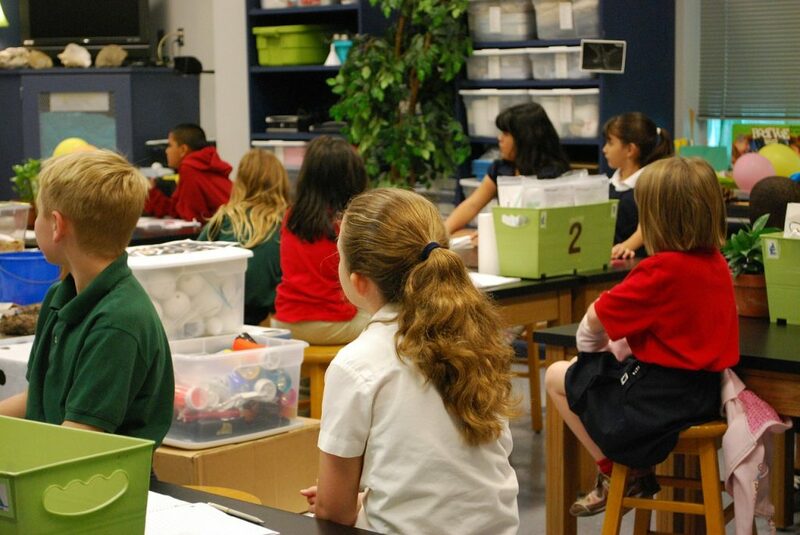 Class discussions can also be a great tool to assess student learning. But there are only so many minutes in a class period that, sometimes, a number of student voices can go unheard. Because there is a small number of students that may disrupt the learning environment, a significant amount of my time will be spent effectively managing the classroom in order to encourage a learning environment for all students. Sometimes, this can eat up a lot of my instruction time. The result is that too often I rely on the academically advanced and/or outgoing students to keep the class going. For the sake of time, I might call on that same small number of students during a class discussion because I know I can rely on them to lead the discussion where it needs to go. Then, my attention and energy will swing back to the students that behaviorally or academically need it most. That leaves a small and often forgotten group of students- the quiet students. The quiet students can fall through the cracks because they don’t request my attention outright. However, sometimes they need it more than any other child present in my classroom. Honestly, I don’t always have the time to spend on the quiet, shy, and well-behaved students during a class discussion. Often a quiet child needs extra response time or guiding follow-up questions before they can comfortably and accurately participate in a discussion. Some students are just shy and self-conscious and therefore, hesitate on voicing their opinions during class discussions. Blogging provides a unique and useful tool to this problematic classroom discussion dynamic. As much as I can, I use blogging to encourage my quiet and shy students to voice their opinions about topics discussed in class or even topics that personally matter to them. Blogging can fill in the gaps that happen as a result of running out of time or lack of student preparation. Students are encouraged to use blogging as a tool to participate in topics discussed in class. There have been countless times when students turn to blogging to continue a discussion started in class. For example, during the election, students spent a lot of time researching both presidential candidates. Class discussions focused on who would be the most effective president for our country based on the background and leadership qualities of each candidate. As is the case with some adults, some students were shy or hesitant about voicing their opinions on the candidates. I encouraged students to use the blog to participate in the discussions started in class. I was surprised that the majority of my quieter students jumped on the opportunity to contribute to the discussion when able to do so safely online. They were able to speak their minds without the pressure of 25 pairs of eyes and ears watching and listening to them. I have learned that shy, middle schools students appreciate the time they can have planning, writing, and editing a post before publishing it on the blog. Blogging gives students the opportunity to contribute to class discussions and provide their perspective on topics without feeling self-conscious, pressured, or unprepared. 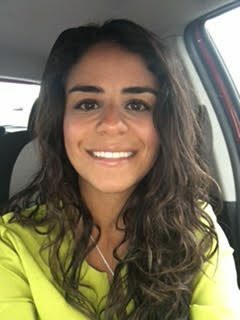 Originally from Brazil, Priscila Samuel teaches Journalism at Randolph Community Middle School in Randolph, MA. She earned her Master's degree from the University of Pittsburgh where she taught in the Pittsburgh School District for one year before working as an editor of school curriculum for Lincoln Learning Solutions. Priscila returned to her home state of Massachusetts in 2016. ​Journalism is brand new to RPS and Priscila has worked hard to create innovative, engaging, and relevant curriculum for her students. The class focuses on current events, digital citizenship, social media, and fake news. All students in Priscila's class use the blog on a weekly basis in order to engage in digital communication and practice academic digital writing. I have also found that blogging gives more of my students a voice. Thank you for posting. I love to hear that! It’s definitely made a difference in my classroom culture. Excellent insight and thanks for sharing! We agree wholeheartedly. Giving children the ability to contribute and be self-expressive without fear is powerful. Our amygdala can override memory creation when put into a fight or flight scenario. I admire your use of modern tech to avoid this and helping your students be the best they can! That’s such a thoughtful comment! Middle school can be trying times for some students, but having the opportunity to speak their minds without instant pressure can certainly help. The shy ones are so easily forgotten. It’s so great that your able to integrate technology in a purposeful and meaningful way to allow for those who have difficulty finding the courage to raise their hands in class, but have so much to say. Thanks for reading! I have found that sometimes giving students a different format, like blogging, can make a huge difference in student participation. this is one of the best article i have read since long time. Thank you for reading! I’m glad you enjoyed the post! I agree with what you have said about quiet students.I will try how well I can follow your technique of involving them through Kidblog. Thanks for sharing. I’m happy to hear that you will be trying it out! It’s truly made a difference in my classroom. In helping a student pursue her passion for journalistic writing, we came across your blog. I realized you are the perfect person for this student. Is there anyway we could interview you? I love what you wrote about blogging, and it is an area I would like to explore with my students.